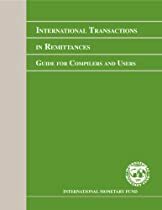 Large current account deficits in Estonia and Latvia, and the continued real appreciation of the exchange rate in Lithuania, have prompted concerns about the competitiveness of the Baltic economies, and called into question the sustainability of their current fixed exchange rate arrangements. Recent external performance, however, appears to be explained more by temporary or cyclical developments than by a deterioration in the underlying competitive position of the Baltic economies. 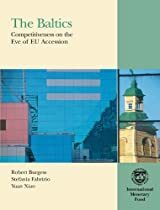 This book assesses the competitive position of the Baltic countries and focuses, in particular, on the viability of the countries’ strategy of maintaining their fixed exchange rates on joining the European Union, participating in its exchange rate mechanism, and then adopting the euro at the earliest possible date. Europe is facing slower growth as a result of protracted financial turbulence and spillovers from the U.S. Meanwhile, inflation has risen sharply. Policymakers in advanced economies will have to continue to support financial markets and balance risks to real activity with the need to anchor inflation. 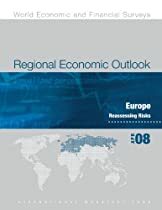 Emerging Europe is well placed to continue to grow, albeit at a slower pace, amid concerns about overheating and external imbalances in several countries. 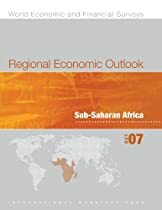 Sound macroeconomic policies and structural reforms will be necessary to ensure a soft landing in these countries and smooth convergence throughout the region. Strong fundamentals should allow Europe to weather financial turbulence relatively well. Nonetheless, growth is set to ease in 2008 in nearly all countries. 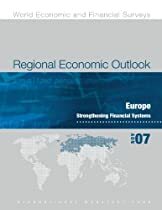 Policymakers will need to deal up front with the financial market turmoil, while implementing fiscal consolidation and structural reforms, including in the financial sector, to address vulnerabilities, raise medium-term growth prospects, and deliver on the promise of convergence for emerging Europe. 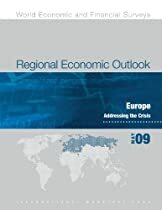 Three analytical chapters discuss reforms to strengthen Europe’s financial systems to allow advanced economies to benefit from innovation without incurring excessive risk and, in emerging economies, to manage rapid financial deepening and develop financial systems further. 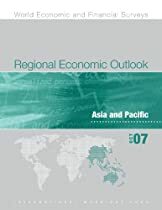 Economic developments in Asia have been positive so far in 2007. Growth has been stronger (and in many cases more balanced) than expected across much of the region, again led by China and India, and inflation pressures remain largely contained. Moreover, Asia weathered the recent financial turbulence relatively well. The outlook is favorable, with growth expected to decline only modestly in 2008 as foreign demand for Asia’s exports slows. 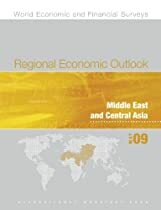 The main risk for the region is a sharper-than-expected global slowdown. More than a decade after the start of the transition process, unemployment rates remain in the double digits in a number of Central and Eastern European countries. That unemployment rates have failed to decline, even in countries experiencing good growth, is puzzling. In this paper the authors examine three interrelated questions: How has the transition from central planning to market economies affected labor market performance? How have labor market institutions and policies influenced developments? Why have regional differences in unemployment persisted? 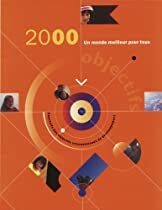 The authors take an eclectic methodological approach: construction of a new data set and a simple analytical model; econometric estimation; and case studies. They find that faster-performing countries have better unemployment records; that labor market policies have some, but not dominant, influence over labor market outcomes; that policies not typically viewed as labor market policies can nevertheless significantly affect labor markets; and that market processes cannot be relied on to eliminate regional differences in unemployment.